Definitely sticking with the game plan for this month, staying ahead of the game and getting the posts out early. It definitely helps when you already have the images worked up in the digital darkroom. To be honest, short of getting the birds in the tin, the major effort in this whole blogging thingy is working up the images to make it worth my reader’s visit time. Of course, this doesn’t always happen, case in point the horrific Cave Swallow pictures I forced upon you a few posts back. I try my best so you can at least tell it is a bird – not to mention Ron is starting to push me with the quality stuff he is putting up over on his blog (link here). You probably didn’t know this, but I credit him for getting me into photography while I was in high school and the reason I can navigate around a camera (although I did introduce him to back-button focus). Today’s featured bird is a bit of an atonement for a slight I made in a recent post. Within the Cinnamon Teal post (link here), I unintentionally dismissed one of the most regal birds there is (at least in North America). It wasn’t the species that dimmed my excitement, just that I was revved up to add a new +1 to the list. 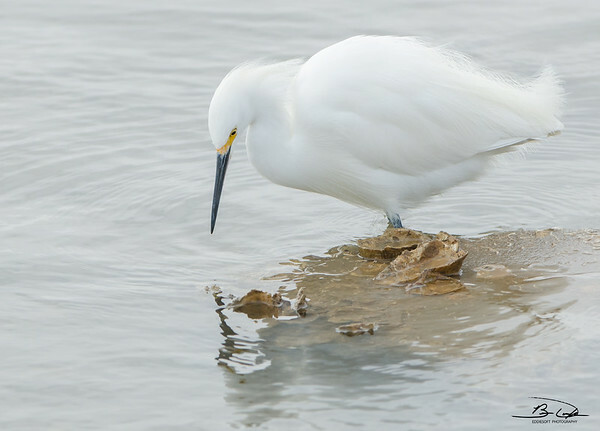 I am lucky enough to have a large number of Snowy Egret shots from just about everywhere we’ve traveled along with tins full from Emiquon and other local water hotspots. When I saw this set of Snowies in the post queue, I immediately decided this was the perfect time to bring them out. Hit the jump to see some more picture of this immaculate bird. This set is made up of two encounters with these white knights. Those with the green vegetation background come to you from South Padre Island Bird Viewing and Nature Center back in December, 2016. The rest are from a visit to Galveston Island, during the same trip (these technically came in the first few days of 2017). Double benefit – not only do I get to right a wrong, I also get to chip away at a serious backlog of images – trust me, 2016 is about in the middle of my backlog queue. The Snowy pretty much speaks for itself – no reason to waste a lot of words on this one. Not sure I have ever seen a dirty one regardless of the environments we have found them in. 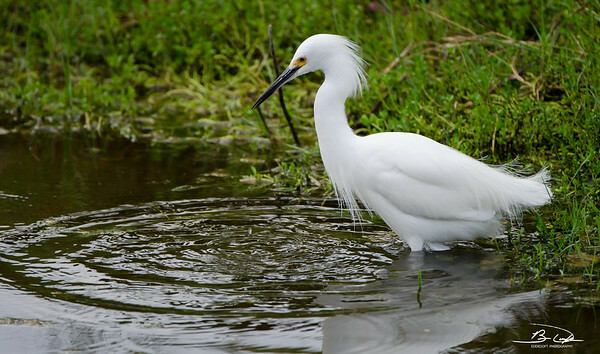 Even in the muck around the edge of ponds, these Egrets will stand out in their brilliant white. 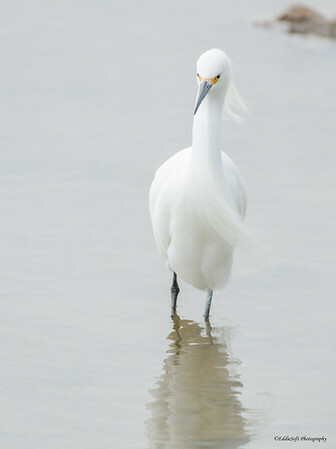 The Great Egret (link here), may be adorned in a similar white coloring, but it has nothing on the Snowy when it is in its breeding plumage. 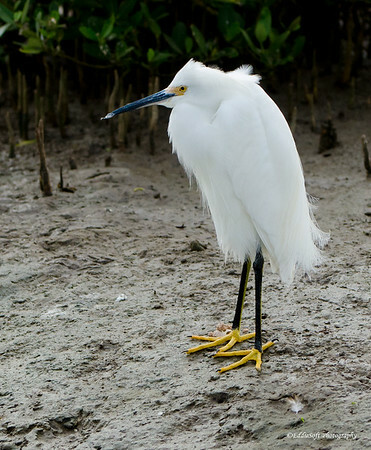 Just something lanky about the neck on the great Egret compared to the more compact frame of the Snowy. I also prefer the jet black bill and the legs which really make the yellow patch on the bill and those yellow feet pop (which you will see in a few more images). 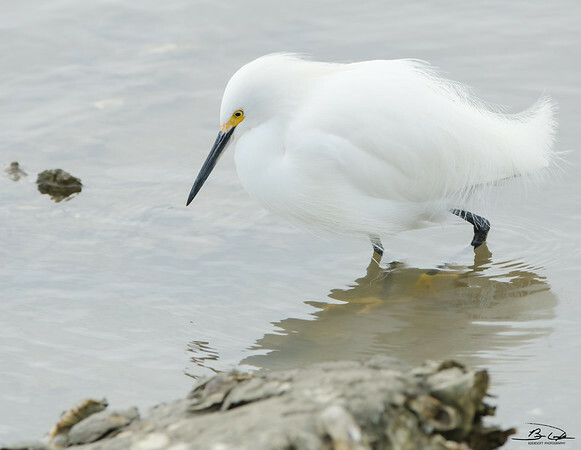 The other very satisfying characteristic of these birds is their trait of being perfectly still for extended periods of time. 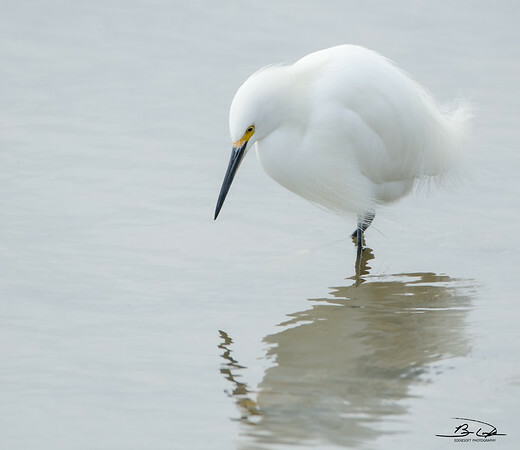 If you are a photographer, this is the perfect bird for you. Unless you are just way off on your settings, you should be able to get pretty decent pictures in the tin – unlike those damn Cave Swallows. Now a few words about those elegant flowing feathers that adorn this bird. That feature devastated their populations in the 1800’s. The fashion industry became enamored with them and drove the value through the roof – so much that they became a sought after target (Cornell mentions that in 1886, the plumes were valued at three times the price of gold per ounce). Thankfully, this issue was addressed in the twentieth century putting their population on the road to recovery. 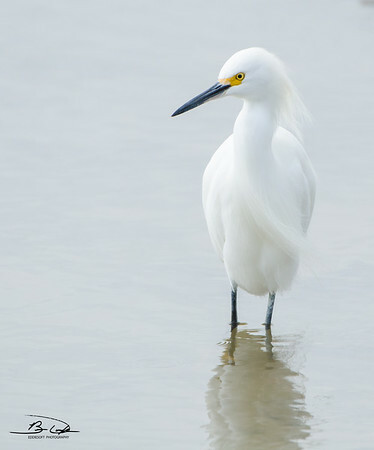 I am glad to say today, the Snowy Egret is categorized as Low Concern on the Conservation Index. I promised you a picture of those yellow feet! Coming to the end of the images selected for this post, so time to wrap it up. 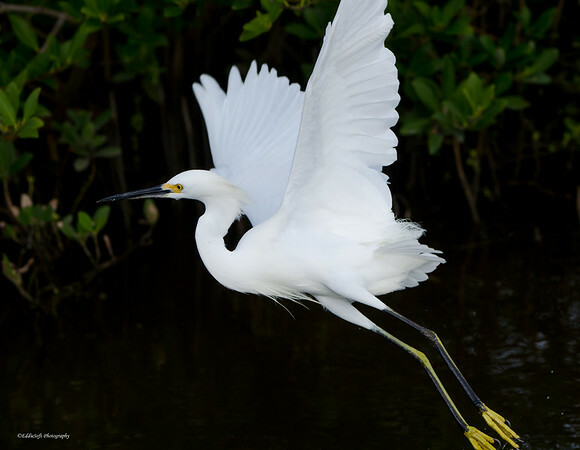 The best thing about the Snowy Egret is they can be seen just about everywhere in the US and down into Central America. The most northern states might have to travel down a few hours, but definitely accessible. If nothing else, they will assuredly see it on their vacations to the coasts. I should probably point out, that I actually won a Best in Show thanks to this species (link here). Sorry Snowy, I didn’t mean to disrespect you – please forgive.